The expansion of sondage 30.000 also resulted in the identification of four additional silos. As in the previous year soil samples have been extracted from these grain storage structures and after being floated were sent to the CSIC laboratory for archaeobotanical analysis. Although the study is in process we can assure these samples will provide relevant information to understand the types of crops during this time period. The excavation finalised after reopening and expanding sondage 10.000, a 10 by 10 meters enlargement. 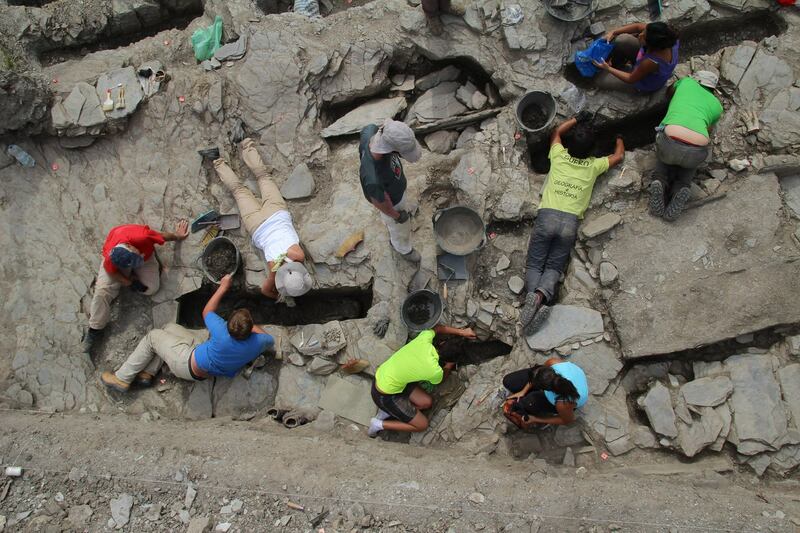 Here the excavation has been performed at the identified paleosoil level. Unfortunately, this year we haven’t been able to find structures linked to this layer, nor to the founded materials, from VII-VIII centuries. However the abundance of materials is very significant, and only ,what seems to be, a wall has been located under the limit of the sondage. We have mentioned the importance of linking the ceramic remains in context to the structures, in order to confirm that this is a settlement from a time period previous to the construction of the traditional irrigation systems. Based on this, we decided to mechanically open two trenches in the external area of the sondage. Thanks to this, we have been able to confirm that the wall continues outside the limits of the delimited area. 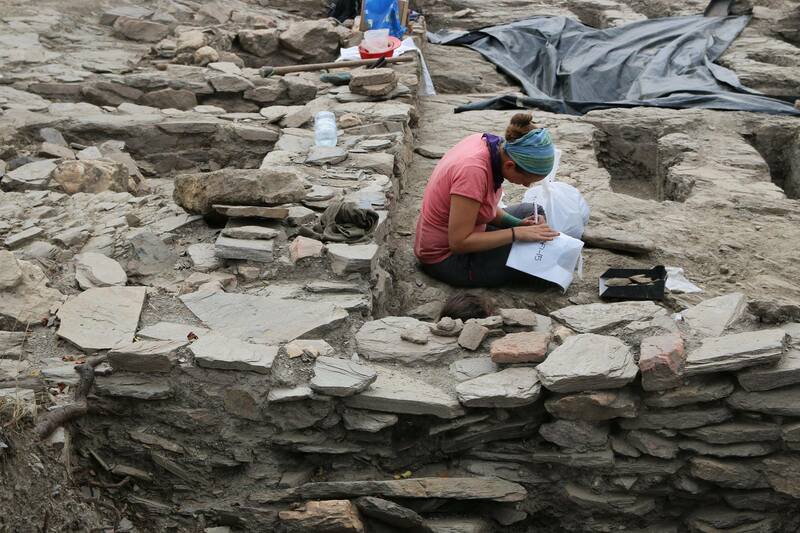 In addition, another wall has been located at the further West side of the excavation. With this information, we have sufficient reasons to justify the need for another intervention, next year. The excavation has been carried out thanks to the work of technicians and more than 60 volunteers, organised in three turns of two weeks each. 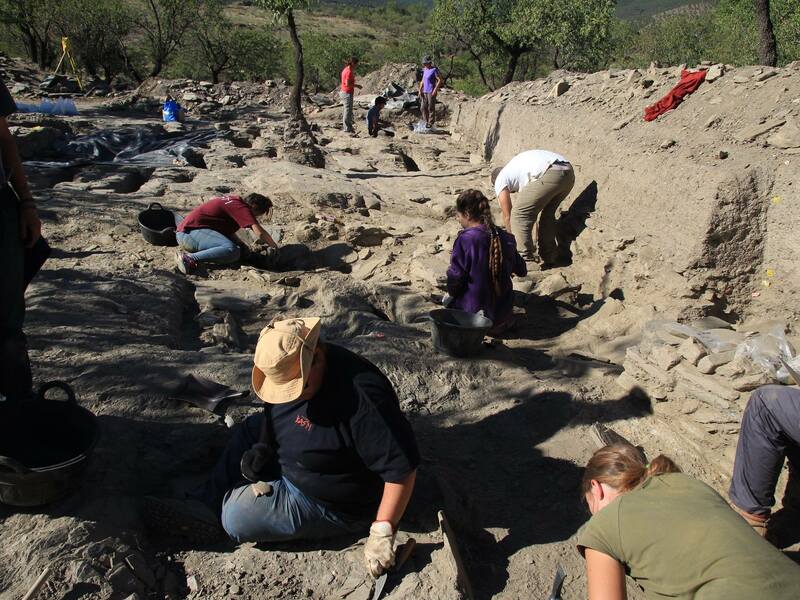 Most of the volunteers were student of Archaeology and History from different Spanish and foreign universities.